Cost to build a shelter varies greatly by region (and even by zip code). 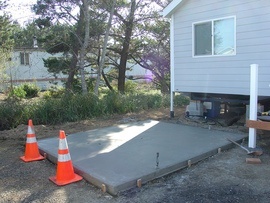 Get free estimates from garage, shed and enclosure contractors in your city. Cost to build a shelter varies greatly by region (and even by zip code). How much does it cost to build a shelter? Whether you call it a shelter or a lean to, the three sided building is often a remarkably flexible way to add storage space, house livestock, or even to serve as a temporary place to weather a storm. For this discussion we will look at the costs and requirements of constructing an attached lean to that can serve easily as a covered patio, carport, or even as a wood shed. We will consider a somewhat "average" sized shelter of 288 square feet (24'x12') which can easily accommodate a vehicle, provide ample wood or protected storage, and even serve as a nice patio area. Building a shelter is among the easiest of "DIY" projects, but if you are not comfortable tying into the exterior walls of your home by all means consult several contractors who can pour concrete footings or supply carpentry work. They might also pull all necessary permits as well. Currently, the average cost of building a shelter to the dimensions mentioned above begins at roughly $1,400. This structure will not provide much resale value unless built to very high standards and would usually hold an approximate return on investment of around 30%. The above figures place the cost of the shelter at a very reasonable $5.20 per square foot. This pricing structure assumes that carpenters would charge an average of $70 per hour, if hired for such a project. Installation of gutters and eaves 5. 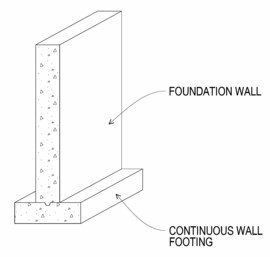 1 Footings: A support for the foundation of a house that also helps prevent settling. 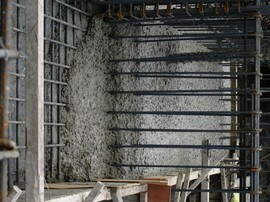 It is typically made of concrete reinforced with rebar, but can also be made of masonry or brick. It is usually built under a heavier part of the house like a wall or column, to distribute the weight of the house over a larger area. How much does it cost to build a shelter in my city? Cost to build a shelter varies greatly by region (and even by zip code). To get free estimates from local contractors, please indicate yours.